Another custom shopping mall sign from Dave’s Signs. Outdoor signs are basically made up words and colors. However, the kinds of colors and words you use (and the arrangement) can make all the difference in the world. Dave’s Signs, your sign professionals, can provide you with the perfect blend of color schemes and fonts, and this can often spell the difference between success and failure. We often take advantage of something as simple as contrast, to greatly improve a business sign. Contrast is all about the color differences between words and their backgrounds. For example, lightly colored words work best against darker backgrounds, yet not all outdoor signs have to be black and white. Our professional business sign designersuse subtle contrast strategies to provide eye appeal and instant recognition. Do You Really Need Fancy Fonts? Fancy fonts provide a unique appeal. Yet, they may not be the best choice when you need very large outdoor signs. In fact, elaborate lettering can sometimes be difficult to read from a considerable distance. It can be hard to decide what type of lettering to use and this is where our expertise as professional sign designers can be of great help. Dave’s Signs designs, builds, installs restaurant signs serving Ventura, Santa Barbara and Los Angeles counties. Most successful outdoor signs have very few words in them. In fact, the fewer words the better, so you can get straight to the point. But what do you say with those few words? Dave’s Signs will help you choose the right words, and the perfect way to make your words stand out. Do you want a bright and colorful background, or would something simple be more sophisticated? It can be very difficult to choose a background and you may only need to go with one color. As your professional sign designers we understand the importance of legibility and will work with you to come up with a background which is an integral part of your sign. We take many things into account, like the environment and the color of your building exterior. Dave’s Signs designed, built and installed this storefront sign for Boot Barn in Oxnard, CA. If you want to be sure your outdoor signs will be successful, go with trusted professionals like Dave’s Signs. We are a full service sign company who takes care of the entire process for you, including design, fabrication, installation, survey work, permits, service and repair. Whether you’re a small business or a national company with multiple locations, we’ll take care of all your outdoor sign needs. Stop by our new location at 4773 Ortega St, Ventura, CA 93003 or give us a call at (805) 641-1387 for a consultation. Check out our sign galleries or contact us online. This is a blog about signs. We highlight the different types of signs: signs we’ve created for our customers, history of sign design and today’s cutting edge sign technologies. Ask a question about signs, and you’ll likely find the answer here. Sign Damage? We Fix It. Why Choose Our Sign Shop? What are Reverse Channel Letter Signs? Is it Time to Update Your Business Directory Signs? Wayfinding Hotel Signs: What Does Your Location Need? Why Choose Unique Custom Graphic Signs from Dave’s Signs? Do You Want More Effective Apartment Monument Signs? Do Your Gas Station Signs Tell the Whole Story? National Sign Company Vs Local – Which Should You Choose? Is Your Outdoor Building Signage Alive or Dead? Is it Time to Upgrade or Restore Your Business Signs? Are Your Lobby Signs Falling Down on the Job? Do You Need More Office Signs? What Do You Need In A Sign Company? How Essential Are Business Signs In Santa Barbara? How Does the Public See Your Business? Are Your Oxnard Signs Getting the Job Done? Are Monument Signs The Right Choice For Your Business? What Makes a Sign & Lighting Repair Service Great? Are Your Corporate Signs a Liability? How Does Custom Sign Design Work? Types of Signs, What’s Right for You? Are Pole Signs Permissible in Your City? How Much Does a Sign Cost? What Makes a Great Sign Design? Here we go into detail on some of the custom signs we’ve done. Including Spencer Makenzie’s Neon Sign, Topper’s Pizza Neon Signs in the Oxnard Harbor, and The Historic Ventura Pole Sign. Check back with us. We’ll have more case studies of signs posted in the near future. We’ve designed, fabricated, installed and serviced signs all over southern California. Here are some highlighted areas near you including Ventura, Oxnard and Santa Barbara. Check back soon for more updates. Want to learn more about signs? Sign up here to follow our weekly blog. Emails are sent out once a month and cover all four articles. *Your privacy is important to us. We do not share your information with anyone. Dave’s Signs has perfected the art of neon signs. We can handle all sizes of neon signage, from the small intricate signs to the eye-catching, large neon signs. Ask us for a personalized quote or contact us for any questions you may have about neon signage. Whether you need a lobby sign, directional signage or ADA signs, Dave’s Signs can help you with all your office sign needs. 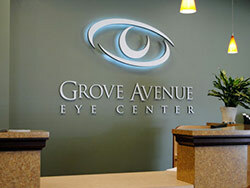 We can use your logo and create a beautiful, distinctive sign for your office. We can also create custom building directory signs, suite signs, and directional signs to give the building a unique unified theme. Call us today to help you with all your office sign needs.